4.5 stars. Another outstanding release from 2010. Man this album has really impressed me. 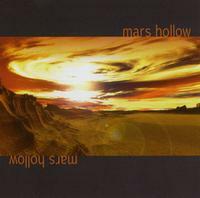 I kept thinking that the music here reminds me of those early Neal Morse-led SPOCK'S BEARD albums where the vocals are perfect and the bass is chunky and the keyboards are more prominant than the guitar.The emotion and melodies from MARS HOLLOW are in the same vein as albums like "V" and "The Light". Music for the heart my friends. Catchy with lights out playing. "Wait For Me" is just so impressive instrumentally and when I heard the vocals for the first time I knew I was in for something special. Those vocals don't arrive until 3 minutes in and by then the band is very warmed up. Love the guitar and fuller sound after 1 1/2 minutes. When the vocals do stop after 4 1/2 minutes we get such an outstanding intrumental passage then the vocals return before 6 minutes. A great opening track. "Midnight" is one of my favs. Just a beautiful and moving track.The vocals, drums and bass really do it for me on this one but really this is just a fantastic tune. "Eureka" opens with organ and yes it's pulsating somewhat. Piano, bass and drums take over. Nice. Vocals 2 1/2 minutes in and the drums are very active. Mellotron before 5 minutes then we get a change before 6 minutes as a calm arrives.The guitar that comes in reminds me of Lifeson. Vocals are back breifly. More excellent guitar before 7 1/2 minutes, vocals follow. "If I Were You" is a good mid-paced tune. Check out the bass after 2 minutes when the vocals stop. Cool section. Vocals are back before 3 minutes and this really is about the vocals. So uplifting. It picks up before 5 minutes with organ. Guitar after 6 minutes. How good is this ! "In Your Hands" features the organ and guitar fighting for the spotlight then it settles in. Vocals 1 1/2 minutes in and it's a different singer here.The SPOCK'S BEARD spirit is alive and well. Nice guitar 5 1/2 minutes in. "Wild Animal" is another favourite. It opens with animal sounds as gentle guitar plays over top. Piano too as the vocals join in. Great chorus here. A really good instrumental section follows. Check out the guitar before 6 minutes to the end. "Dawn Of Creation" is atmospheric until it kicks in before a minute. Vocals after 2 1/2 minutes. A killer instrumental passage after 4 1/2 minutes.Vocals a minute later. Check out the piano before 6 1/2 minutes when the vocals stop. It's heavier 7 1/2 minutes in. More great sounding guitar 9 minutes in.Vocals a minute later then it's heavy again before 11 minutes. Another album that I will be seriously considering for my top 5 of 2010.